Here’s a prediction for you – on the basis of this year’s Power Part Time 50, the next big shift in working patterns will be the job share. With no fewer than nine job-share partnerships making it into this year’s 50, there’s solid evidence that sharing the responsibility and rewards of even senior roles is on the rise. So even though there isn’t strictly a separate job sharers category in the Power Part Time 50, we thought we’d give them their own page to celebrate anyway. Who are they and how do they do it? Read on to find out. 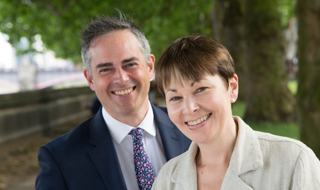 Lucas and Bartley took up the role of Green Party Leader, elected every two years by a ballot of the entire party membership, in September 2016. Theirs is the party’s primary public-facing role, responsible for conducting national media interviews and debates, giving speeches to conferences, and contributing to party strategy. Bartley is a carer for his disabled son, Samuel, and the job-share arrangement ensures he can be at home at certain times of the day. Lucas balances the role of leader with weekly constituency surgeries, committee work and family commitments. The announcement of their job share attracted substantial media attention, with the pair using the opportunity to state the case for job shares and part-time roles to become more widely available and accepted in politics. The HR director for skills and capability is responsible for creating a learning environment which facilitates the professional development and ambition of every one of the DWP’s 80,000 employees. Bloxham and Taylor fulfil the role on a job-share basis: Bloxham supports her husband’s business and her local community, having recently relocated from London to the Isle of Wight. Since taking on the job-share role earlier this year, the pair have designed and implemented an apprenticeship offer for the business, resulting in over 2,000 new apprentices; refreshed talent development programmes to drive greater inclusion; and led their immediate team through significant organisational change, merging three groups comprising over 40 people to create one cohesive unit. 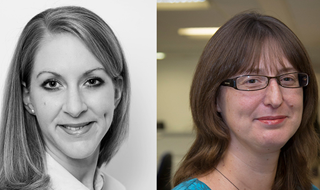 Ainsley and Cherry head a team of 30 HR professionals and are responsible for the development and delivery of the people strategy for Group Operations, a division of Lloyds Banking Group. Their strategic focus is on building an inclusive and engaging culture that attracts, develops and maximises the contributions of 20,000 colleagues. Based in Bristol, they joined Lloyds at the start of 2016 as a job share, after previously sharing the role of organisation & talent development leader for GE Capital UK. 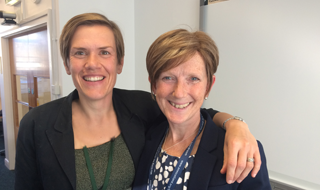 They began working as a job-share partnership three years ago, both making the decision to rebalance their personal and professional commitments. 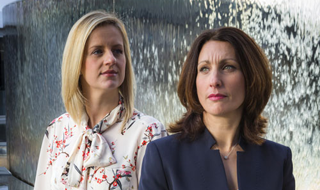 They aim to bring ‘the two Mondays effect’ to Lloyds Group’s first senior job share, with the business benefiting from double levels of energy, passion and strategic thought. Over the last two years, Davidson and Shepherd have led a team to drive forward reforms on police integrity and powers, to increase public confidence and trust in the police service. They were hired on a job-share basis, both of them wishing to spend more time with their children and follow external interests. Together they have driven numerous significant reforms through to law, such as the reform of bail powers to avoid suspects being on bail for long periods. They also led their team to become one of the highest performing teams in the Home Office. They are now continuing their successful partnership in a new role in the Department for International Trade, leading on the Americas and delivering strategy on one of the UK’s most important foreign and economic policy goals. 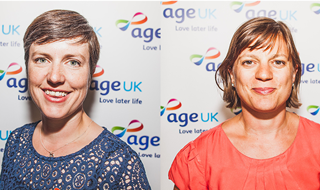 Kitching and Pearce jointly lead Age UK’s public campaigns and its influencing work in Westminster. They support a team of eight who ensure that the charity’s policies and the views of older people are translated into impactful briefings, persuasive campaign materials and interventions. They are both national media spokespeople for the charity as well as members of its senior management team. 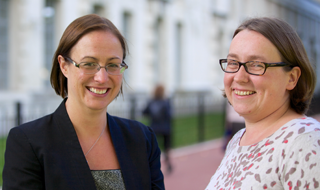 Kitching and Pearce have job-shared since 2012 to enable them to balance personal and professional responsibilities, and have been promoted twice while job sharing. Their achievements include consistently securing Age UK’s position in the top 10 most effective influencing charities at Westminster (as rated by MPs); campaigning to abolish the default retirement age; and taking a lead role in work that contributed to a £2bn increase in funding for social care services. McLeod and Cameron are responsible for strategy, policy and delivery on a broad range of issues including child and maternal health, early learning and childcare, child protection and youth justice, as well as the development of Scotland’s social care workforce. McLeod initially fulfilled the role on her own on a 0.8 FTE contract, before reducing her hours to spend more time with her children. A job-share role was created and filled by Cameron, who also carries out a second, corporate role with the Scottish Government one day a week. In the last two years, their department has extended entitlement to free early learning and childcare; secured a commitment to increase practitioners in deprived communities; and led an improvement in services for vulnerable children. 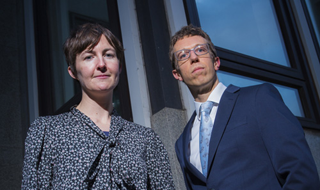 Pusey and McNaughton are jointly responsible for a wide range of policies at the MOD, including pay, pensions, compensation, service complaints and discipline for military personnel, and diversity. They have job-shared since 2011; both have young children and McNaughton has multiple sclerosis, requiring her to protect her health and wellbeing. They were promoted in 2015 in recognition of their transformational work. Together they have led multiple change programmes, including introducing a fundamentally different pay scheme for military personnel in 2016. They are currently overseeing changes that seek to improve the Department’s approach to diversity and inclusion, and to improve the attractiveness of a career in the Armed Forces, while also making personnel costs more affordable. 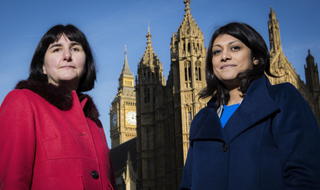 Proving that one of the biggest roles in British political journalism can work as a job share, Asthana and Stewart took up their positions at The Guardian at the end of 2015, just as UK politics was entering an unprecedentedly tumultuous period. Both mothers of young children, they work four days a week each, in roles that are more 24/7 than nine-to-five. News of their appointment was received positively by both the media and political establishments and, as trailblazers within the industry, Asthana and Stewart have ignited discussion on making flexibility more common in very high-profile media roles. 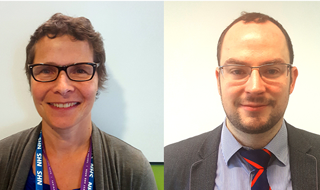 Tuke and Taylor lead the strategic development, planning and delivery of commissioning of children’s health services on behalf of Croydon CCG and Croydon Council. They share a number of accountabilities and each carry an individual portfolio of commissioning responsibilities. Both also share a passion for music – Tuke plays guitar in a folk band and Taylor runs his own record label – and their working arrangement enables them to pursue these interests while progressing their careers and, in Tuke’s case, raising children. Since June 2014, within a complex stakeholder landscape, their achievements have included: transformational change in local children’s mental health services, securing agreement for the setting up of ‘play streets’, and partnership deals that have led to improved health outcomes for Croydon’s looked-after children.